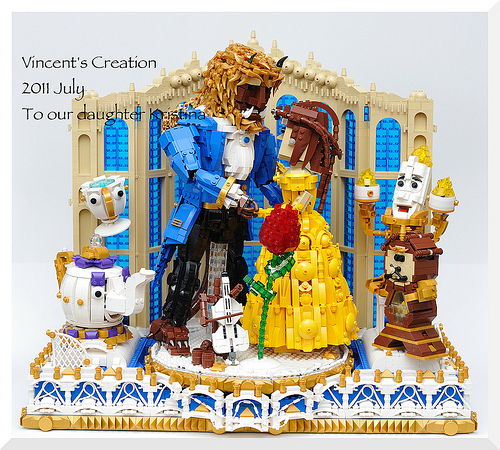 Vincent Cheung’s (fvin&yan) sculpture of the ballroom scene from Beauty and the Beast is flourishing with details. This was built for Ani-Com Hong Kong and made its way into the top 12 entries, which you should definitely check out. Absolutely absurdly good. I would have a heart attack at the thought of trying to compete against this.